The Abbasi, Iran´s most famous hotel. If you are trying to make up your mind about going on a tour group or travelling independently I would advise you to choose the latter. Iran is one of the easiest countries to travel around with a good transport system and good tarmac. 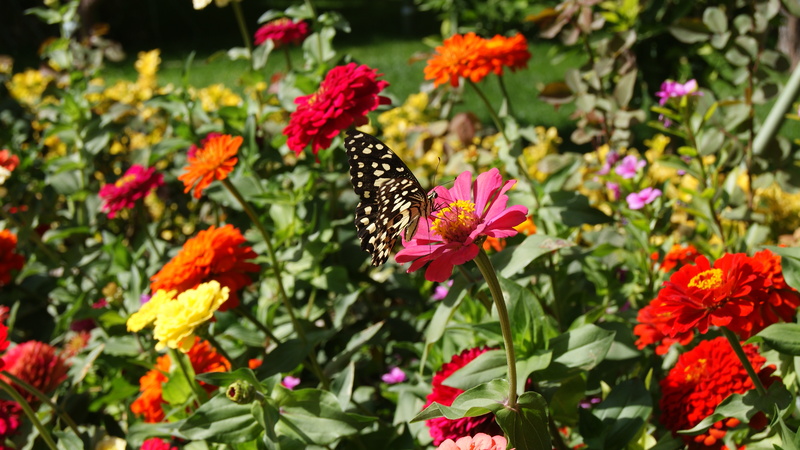 I know at the moment if you are an American citizen it is obligatory to choose a tour group. It is more difficult to be able to rent a car as the mileage is limited and they also prefer you to take a driver. Planes are amazingly cheap but due to sanctions you have to take into account the condition of the planes. I chose to travel around Iran by bus. My first trip involved going to Tehran’s Southern Bus Terminal. I didnt even need to bother going into the terminal and finding a ticket counter. Just stand at the exit where the buses are leaving as the drivers shout out their destinations in a hope of filling vacant seats. The taxi seat to bus seat transfer must have took no more than two minutes and before I knew it I was on my way to Isfahan. Driving towards Isfahan I was reminded time and time again of Arizona and sometimes how I imagine Mars to be. At police checkpoints the bus driver’s assistant would rush along the aisle telling people to put their seatbelts on. The authorities seem to be strict with buses which is a good thing compared to my experiences in Africa. The people on the bus were very nice, an old lady gave us pomegranates and another man handed us a box of sweets. We spent time talking about politics and conspiracies, one man was shocked to hear that Dutch politicians cycle to work and the royal princesses go to regular schools. We wished we had took photos of the country we live in as it would have made explaining things much easier. All the while a man near the front of the bus kept turning around and staring at us as if he needed to talk to us urgently. In the end we never had time to talk to him. As a foreigner you will get alot of attention, not on the superstar status like you get in India so it’s not overpowering. The taxi drivers are not as friendly in Isfahan as they are in Tehran. A passenger on our bus told us from the Kavah Bus Terminal to our hotel would cost IRR 50,000 but the drivers were quoting us three times as much. We refused as a matter of principal and in the end paid double the standard fare to perhaps Iran’s most scheming taxi driver. 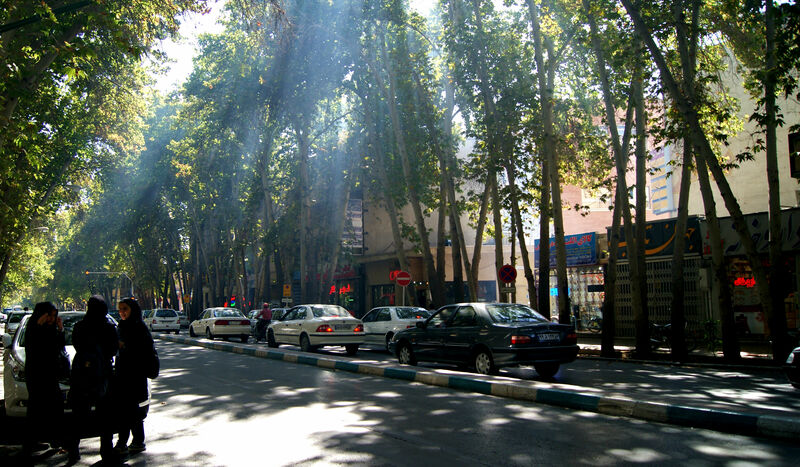 Driving along Isfahan´s most famous avenue Chahar Bagh I realised I liked this city. With a lot of squinting of the eyes you could block out the traffic and just imagine how this avenue used to be lined with palaces and parks. 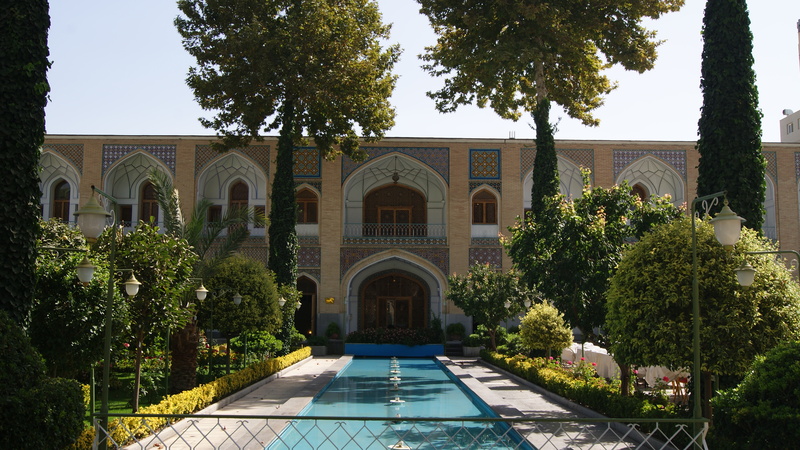 We stayed in Iran´s most famous hotel, the Abbasi. By Iranian standards it is five star although everything, like most hotels, are worn out. The building of the Abbasi looks beautiful, it used to be a caravanserai centuries ago. The only charm left is the actual building and some chandaliers and paintings inside but I was disappoined with the tattered rooms and staff who couldn’t care less about their guests. You wont find the legendary Iranian hospitality here. 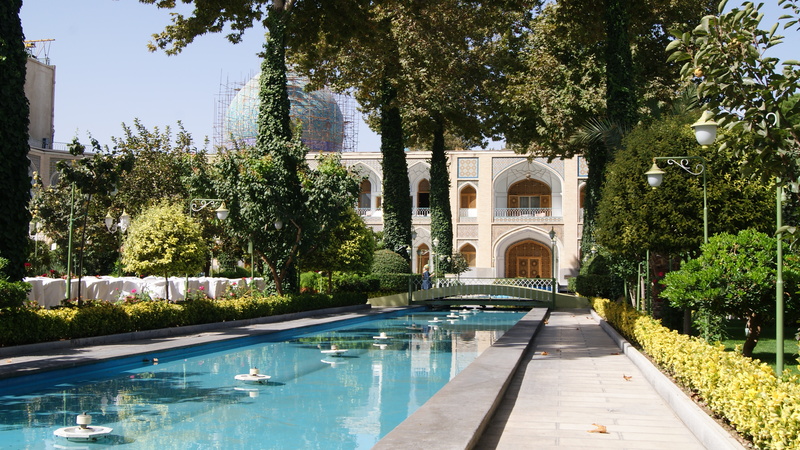 Nevertheless it was central to all the sights and within walking distance to Naqsh-e Jahan Square. 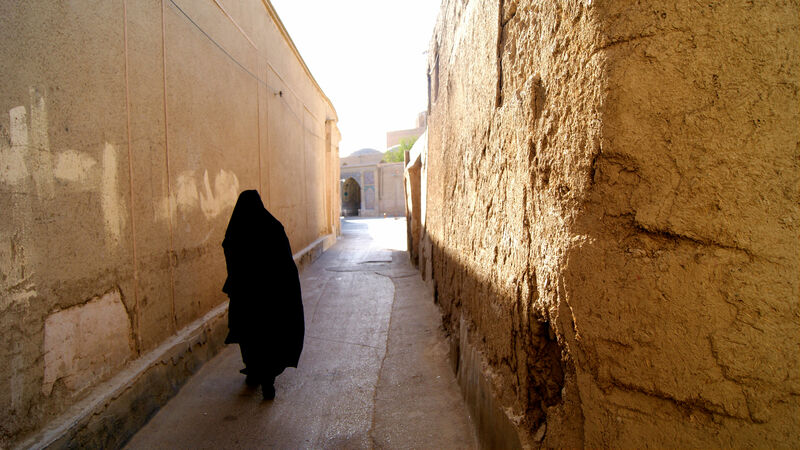 In Isfahan you can still find buildings made of mud and straw! 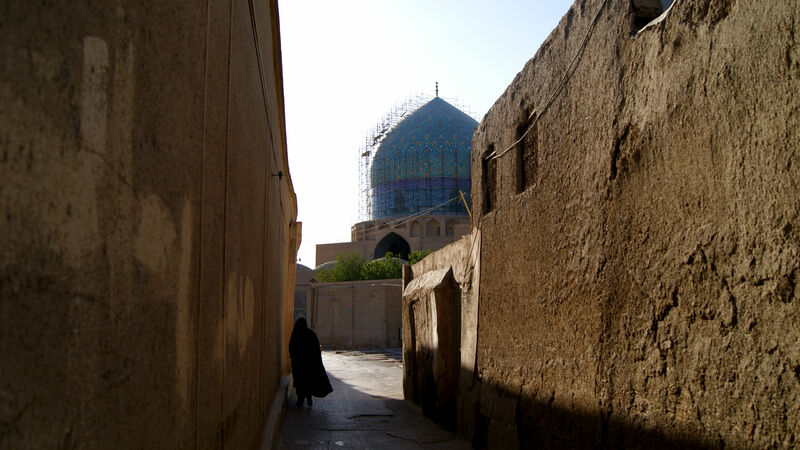 I had heard from many people that Isfahan is the world´s most beautiful city but I had yet to see it with my own eyes. That would have to be another day. This entry was posted in Iran and tagged abassi hoel, chaharbagh, Iran, Isfahan, Naqsh-e Jahan Square, Southern Bus Terminal, terminal e jonoob, میدان نقش جهان, اصفهان. Bookmark the permalink.